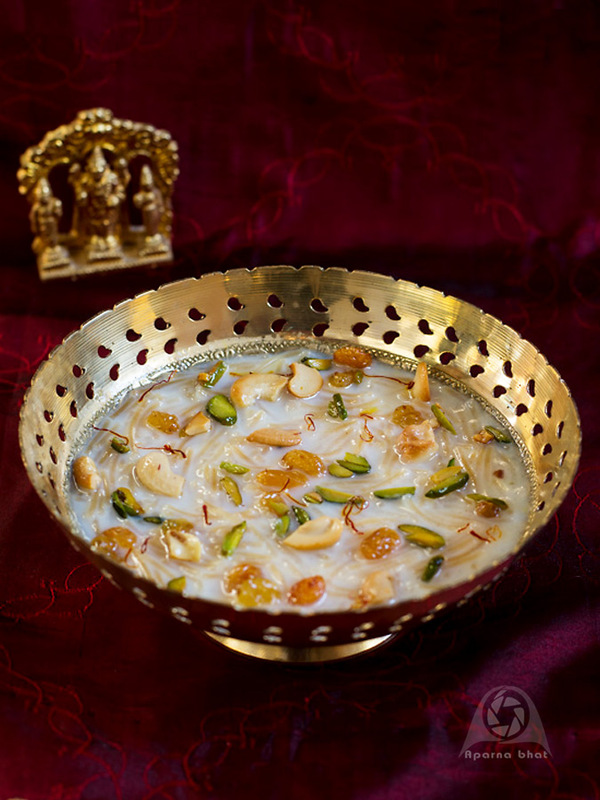 Payasu/Kheer is a traditional Indian sweet prepared for special celebrations or during festivals. Shevayin payasu is prepared with vermicelli that is cooked in milk and later flavored with cardamom and garnished with nuts and raisins. Heat 1/2 tsp ghee in wide pan. Add nuts one by one and saute them till golden. Add raisins and saute them until they balloon up. Keep them aside. In the same pan take 1 tbsp ghee. Roast the vermicelli on low flame for 2 mins till it changes in color to golden brown. Add 1 cup water + 2 and 1/2 cup milk to the roasted vermicelli and increase the heat to medium flame. Let it cook for about 5-7 mins till the vermicelli becomes soft. Add 3 and 1/2 cups of milk and continue cooking. Let the milk thicken and reduce. 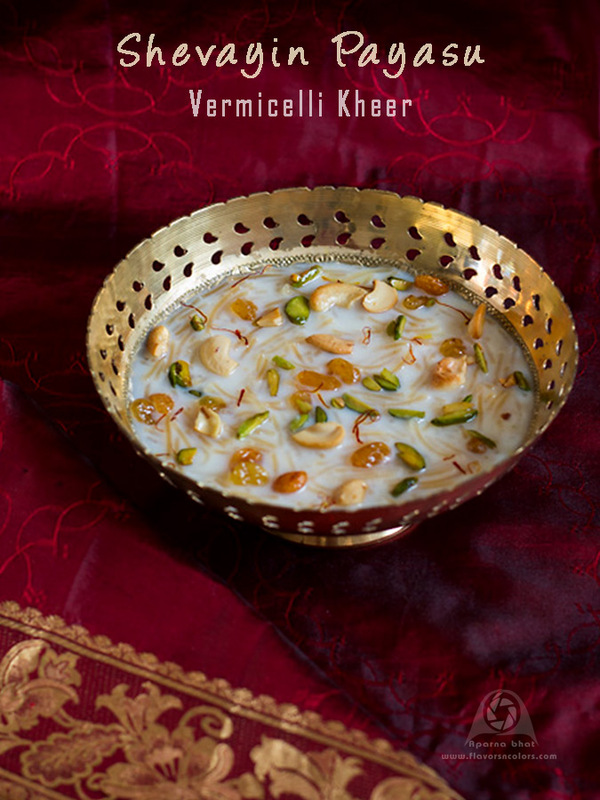 Keep stirring the kheer continuously to prevent burning. 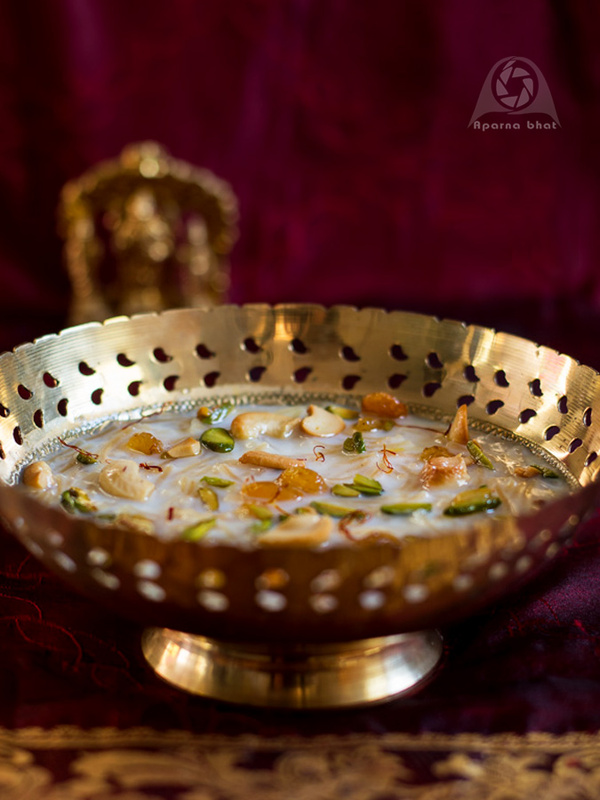 As the milk thickens and reduce in quantity, add sugar, cardamom powder, saffron strands and continue stirring. Once the desired consistency is reached switch of the flame. Garnish it with roasted nuts and raisins and serve it warm or cold.